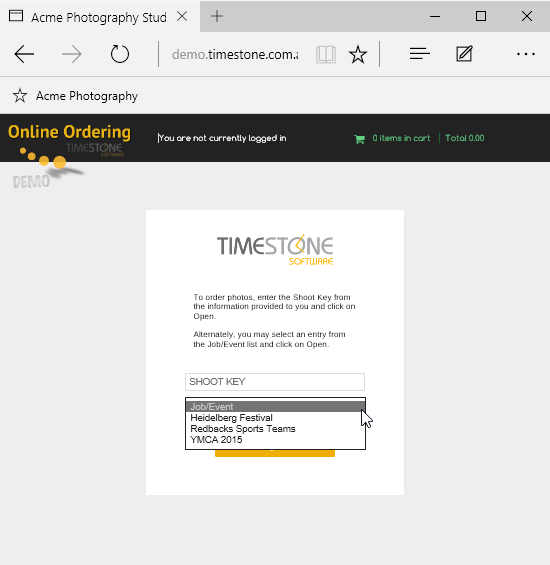 Timestone Software's Internet Ordering System (IOS) allows jobs to be 'Broadcast' on the site's home page. Jobs uploaded with this option have their 'Friendly Name' displayed in a drop down list. When a job has images, using the Job Key as the Shoot Key displays every image for every subject in the job. If the job originated from OutPost then all images in the job are displayed (OutPost has no concept of subjects). It must be emphasised that using a Job Key with images is not subject specific - orders are placed for an image not a subject. This means any subject data on templates such as names will be lost. It also means the only products available for ordering are portrait based products - pack layout templates from NeoPackProfessional or OutPost. 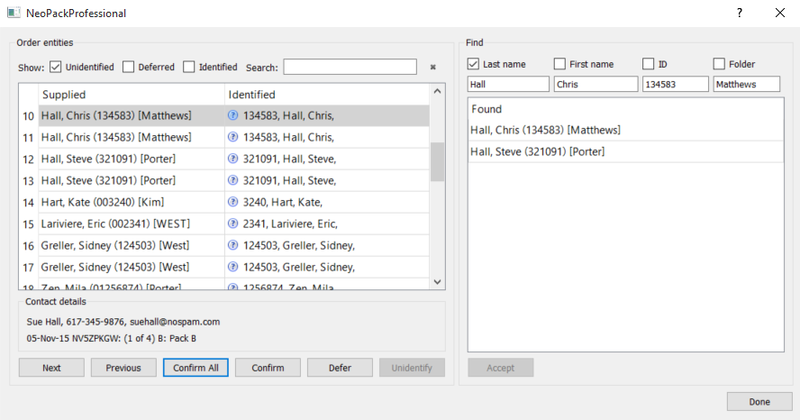 With Identify Ordering a customer enters the Job Key (or selects the job from the Broadcast list) and is prompted for information about who they ordering for. The customer is asked to enter data into four fields before viewing and ordering products with the two name fields being compulsory. Orders are subsequently downloaded into Orders Mode where they are "Identified" against a subject in the job. Essentially the identification process "matches" the data supplied by the online customer to the subject data in the job.